In our modern world, we are just bombarded with information…maybe that’s why we all need to take a break and visit Italy! 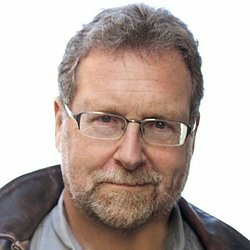 But in seeking thorough travel advice, the Internet is filled… and filled… and filled with blogs, review sites, too much travel information, written by people you don’t know, may not trust and who don’t do this professionally. 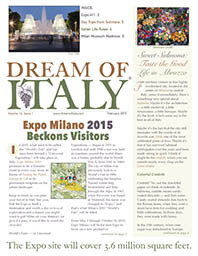 That’s why those seeking trusted insider travel advice have turned to Dream of Italy. 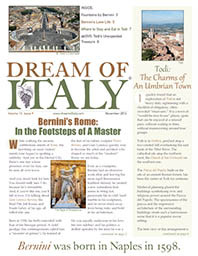 For more than 14 years, I have been bringing Italy travelers details on the types of experiences and places they are seeking…authentic… educational… mesmerizing… stylish…beloved by locals. 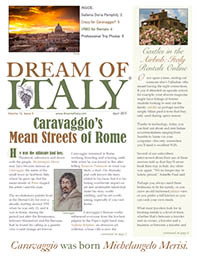 All on the pages of Dream of Italy – an award-winning, print and online newsletter. 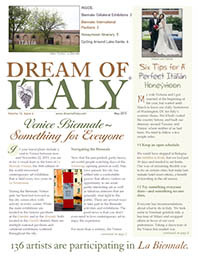 I rely on a team of savvy travel writers – most of whom live in Italy – to bring you the latest and greatest Italy travel ideas. 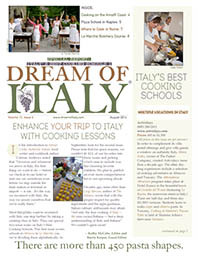 From cooking schools to villa rentals, local tour guides to delicious dining in every corner of Italy from Amalfi to Venice, a Dream of Italy membership, which includes our award-winning newsletter is an all-access pass to a treasure trove of travel advice. You can immediately download ALL of our nearly 125 back issues! 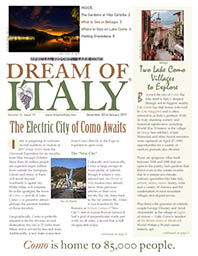 Many of the restaurants, tour guides and local experiences in Dream of Italy have never been covered in the media before! PLUS: Receive the BONUS Ebook 31 Mistakes NOT to Make When You Travel To Italy ($19 value) – great advice especially if this is your first trip to Italy! AND: Enjoy exclusive member travel discounts! Special Savings When You Join Now! 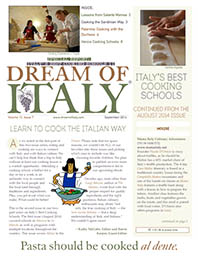 Don’t even think about traveling to Italy or even dreaming of Italy without the expert advice of Dream of Italy. 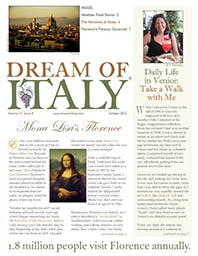 For more than 12 years, Dream of Italy has been the leading source for savvy, authentic Italian travel advice. Join with confidence as we offer a 30-Day Money Back Guarantee! Contemporary art lovers rejoice! It is a Biennale year in Venice. If you’re in La Serenissima between now and November, we tell you how to enjoy the official art exhibitions and collateral events all around the city. There are few more romantic destinations than Italy. That’s why it is the ultimate honeymoon destination. Our recent honeymooners have five tips to help you enjoy the romance and see the sights. The Veneto is a fantastic cycling destination for bikers of all levels. Our writer visits beautiful Lake Garda and stays at a hotel “geared” for cyclists.